We are offering one lucky winner a tour of Red Bull Racing’s factory in Milton Keynes and two 3-day tickets to the 2012 British Formula One Grand Prix at Silverstone. A behind the scenes tour of the home of double world champions, Red Bull Racing. See where the car is designed and crafted. All proceeds of this raffle are being donated to Macmillan Cancer Support and there is even a runner up prize of a Red Bull F1 Factory Tour for two. 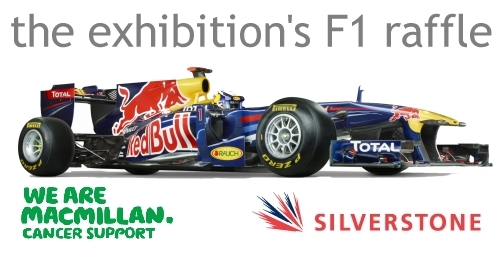 You could win a tour of Red Bull Racing’s factory and Grand Prix tickets in our raffle!